This cottage overlooks the St. Lawrence River near Rockport, Ontario. 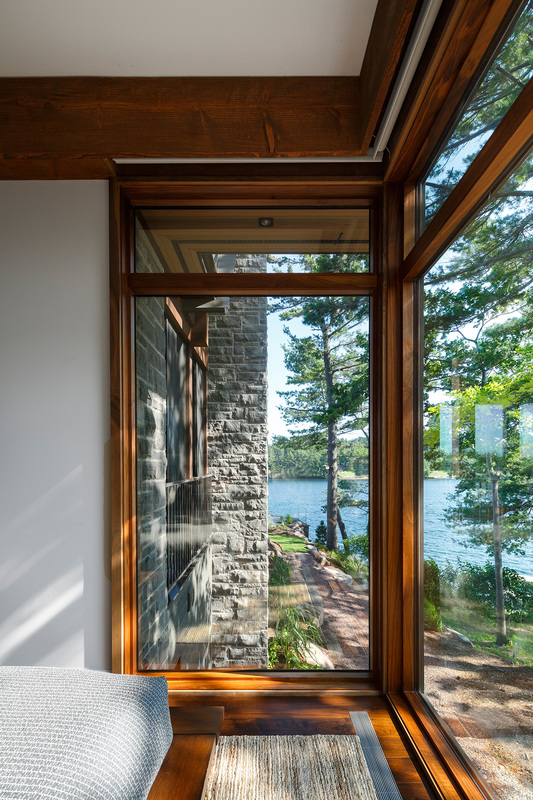 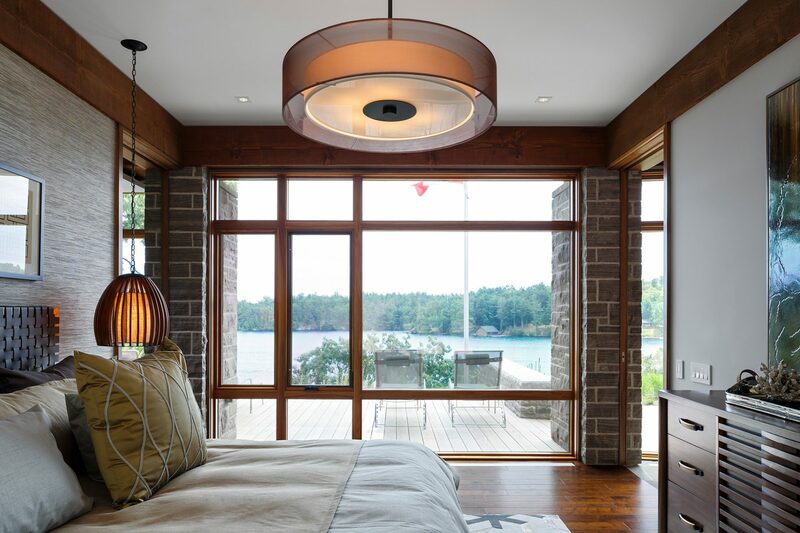 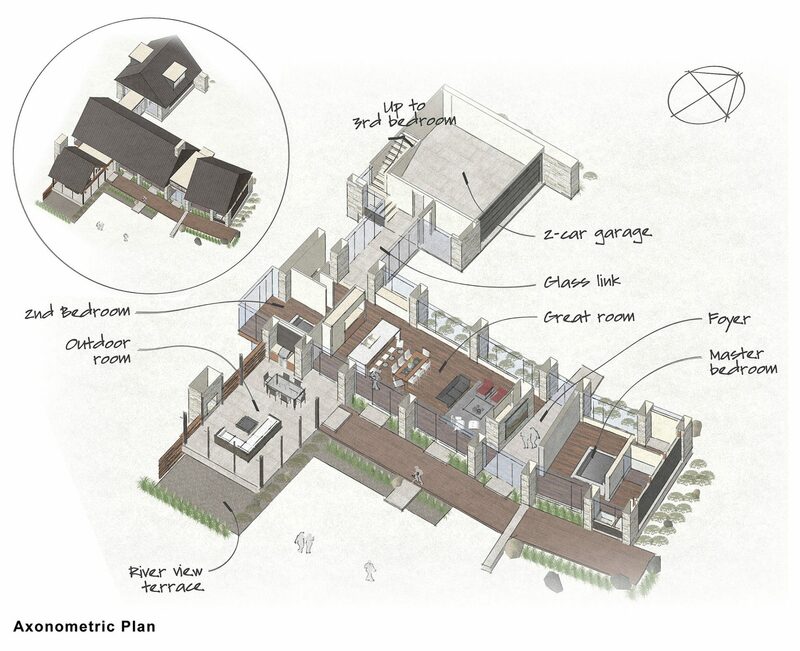 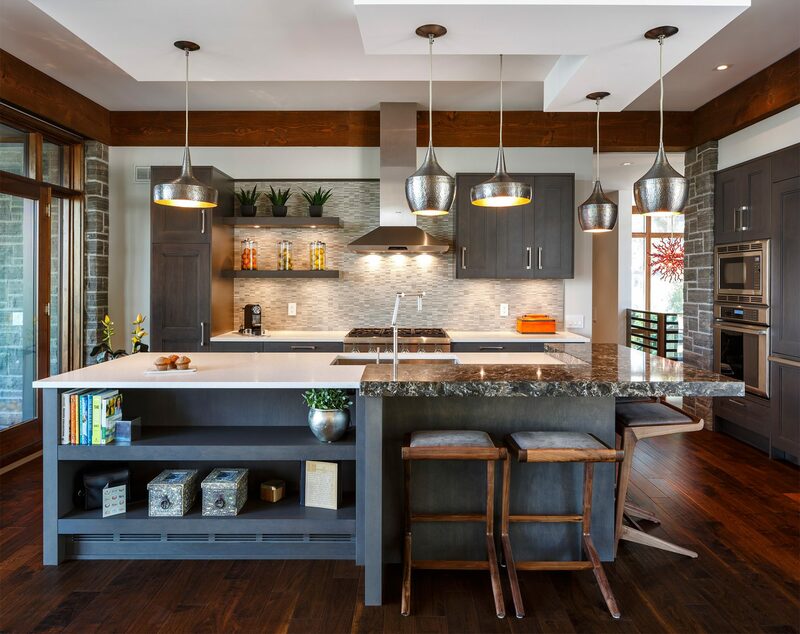 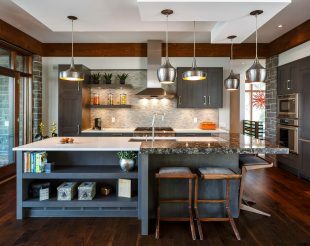 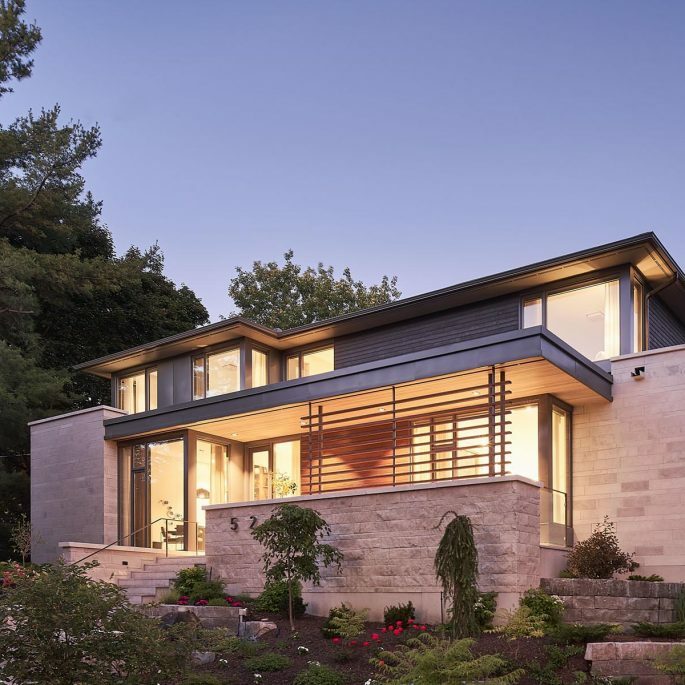 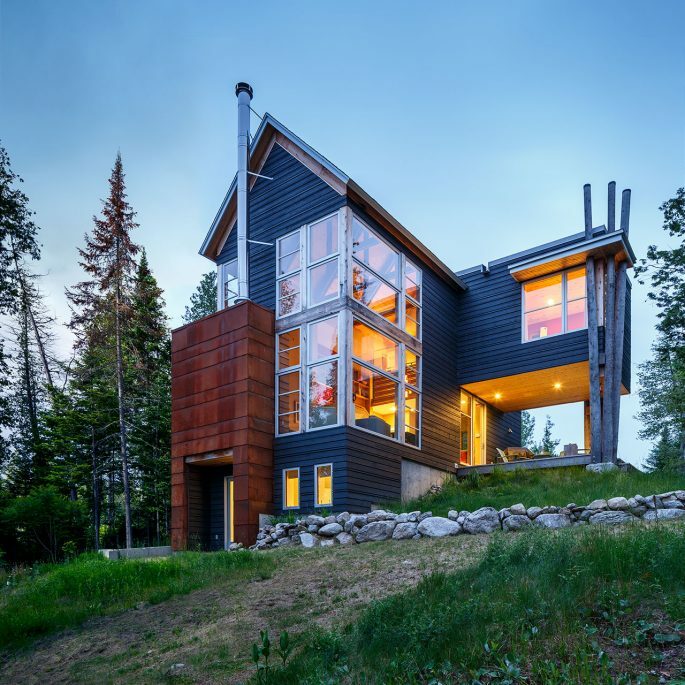 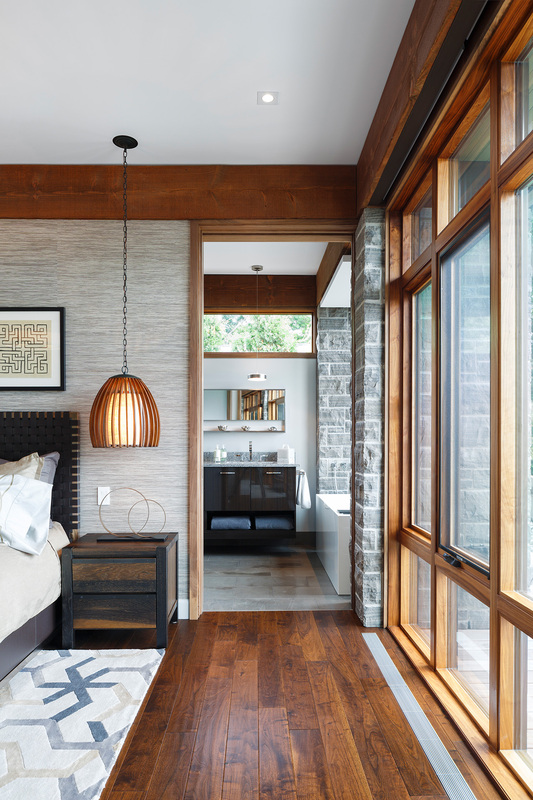 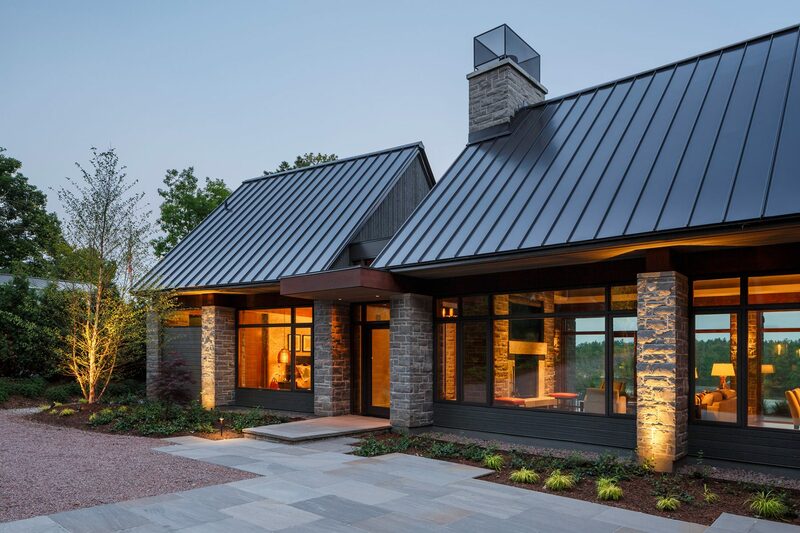 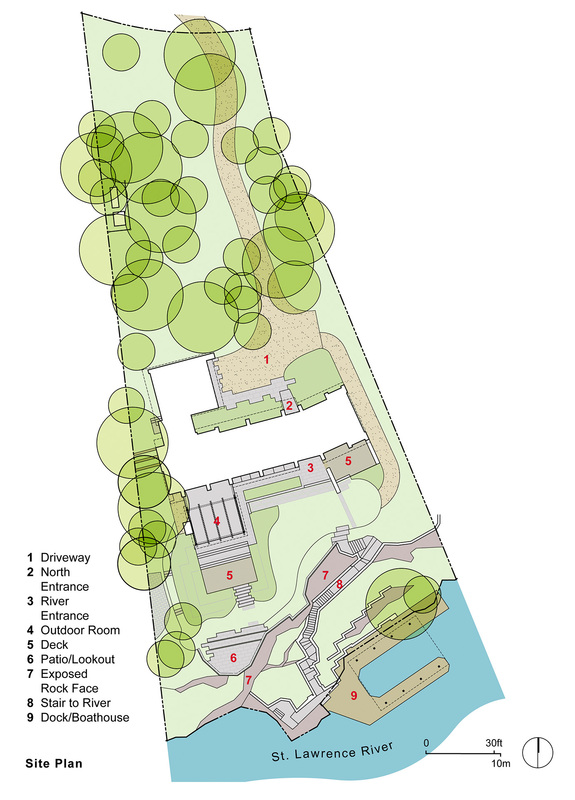 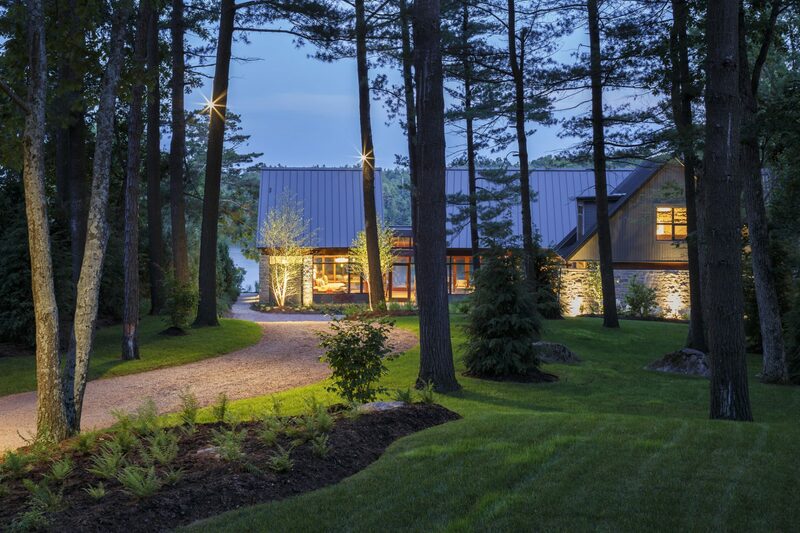 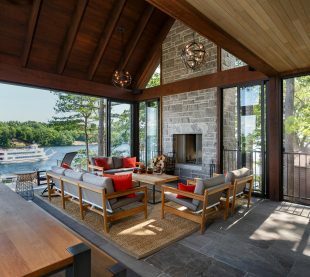 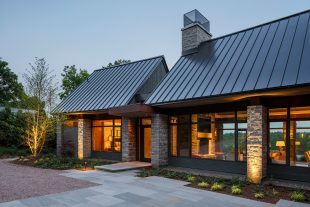 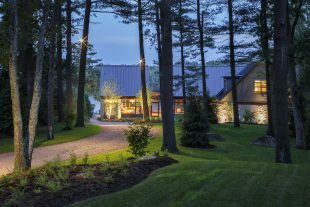 A desire to make the cottage feel like an extension of the surrounding natural elements while keeping true to the essence of place prompted the use of a natural material palette of stone, wood, metal and glass. 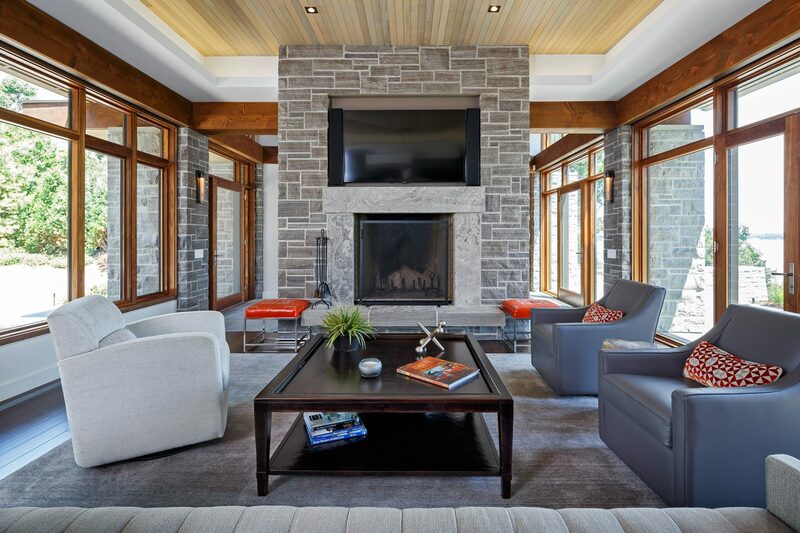 The composition is rich without being extravagant, providing a rustic setting for relaxation and entertaining. 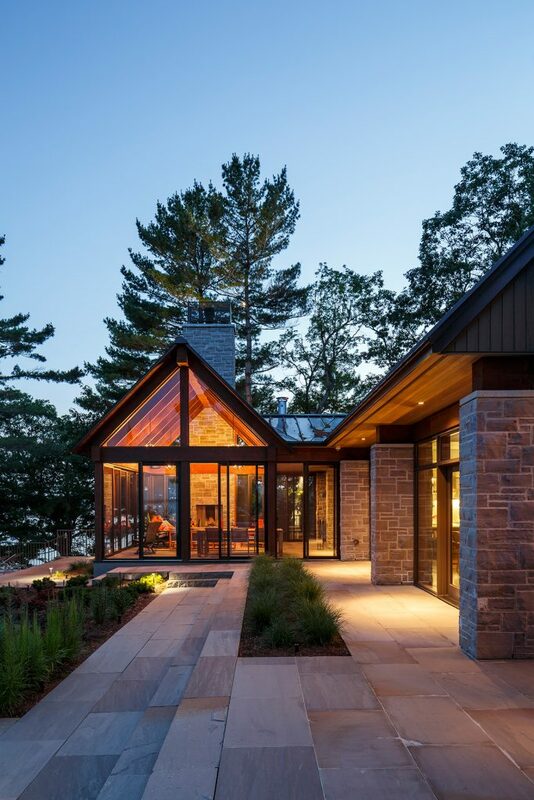 Four interconnected pavilions joined by glass walkways define the living, entertaining and private rooms of the home. Each room is oriented with dramatic views to the river and the surrounding landscape of pine trees and sandstone outcrops. The home is as much an indoor experience as an outdoor one, and continuity between inside and out is a recurring theme for this composition. Stone piers and chimneys anchor the cottage to the ground and create a rhythm in the facades, while contrasting horizontal planes of glass and wood beams float the roof above. 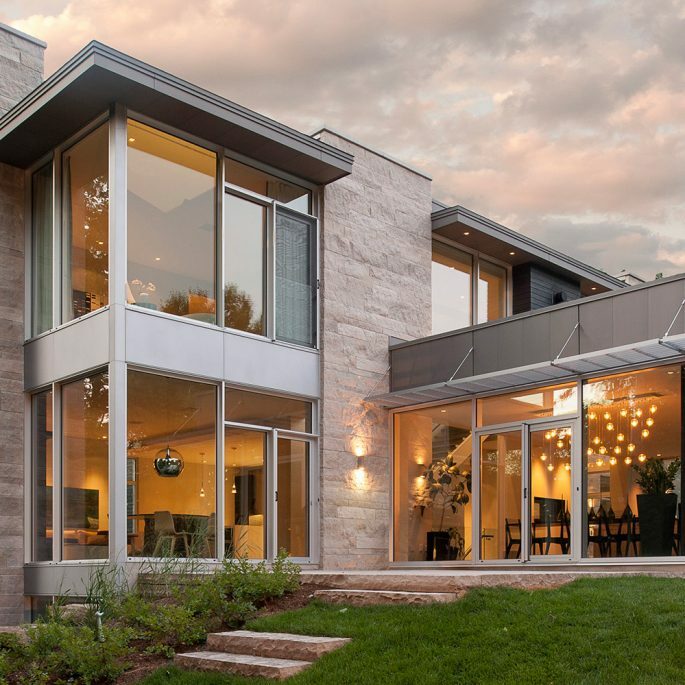 The stone piers along with deep projecting eaves provide a sun shading effect to control solar heat gains.